Thompson Suburban Dental Lab provides you with a wide assortment of abutments and restorative options to meet the individual needs of your patients. 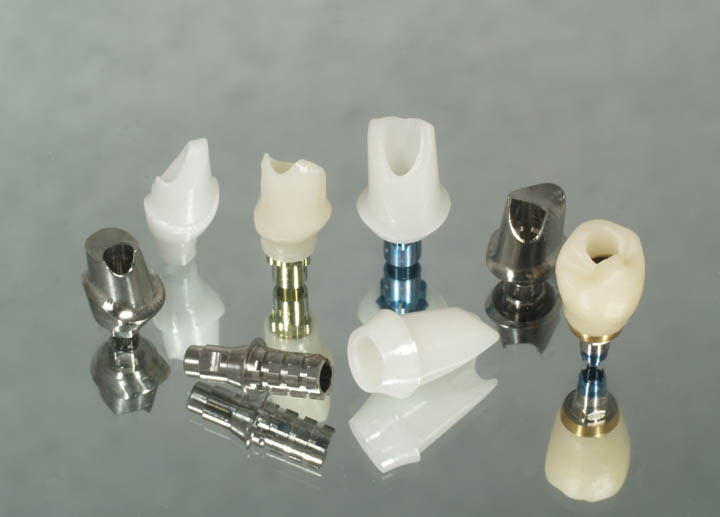 For all implants, we have all-inclusive pricing which includes the soft tissue model, analog, CAD/CAM abutment, crown, fixation screw, placement jig and all parts and labor. In all cases, please remember to include the following items when sending an implant case to Thompson Suburban Dental Laboratory.